Fiona‘s added value comes from skills gained both in the corporate and training world in an international context. Whether it is in training or in a corporate environment she is highly motivated by individuals’ success and performance, convinced of the crucial importance of the human element in constantly improving results in companies, and that this will be the source of competitive advantage for the years ahead. Fiona has worked with board members, senior managers, and individuals from all walks of life. She has a wide experience in group training and coaching, individual communication and performance coaching, consulting, and working on events for companies in a wide range of sectors from industry to banking. English is her mother tongue; she has been living in France for 20 years, has travelled extensively and is experienced in delivering to, and working with, multicultural teams. Fiona is a graduate of the London School of Economics where she studied International Relations. She worked in international development for the Suez Group for 5 years. 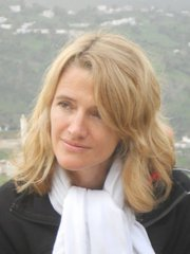 Before becoming a coach, Fiona delivered training in negotiation, communication, business strategy and intercultural management and communication to very different audiences: from BTS to HEC to “Ecoles des Mines” in the French Education System, and from sales teams to engineers to project managers and top executives in the corporate world. She also has experience as a project manager on European education projects, particularly in the development of cultural intelligence. She has worked closely with international trade professionals and representatives of national trade associations in the UK and in France on these projects as well as with European Institutions. (European Commission). She has negotiated in and hosted international meetings and has been responsible for team building and motivating individuals from corporate, education, and institutional environments around a single objective. 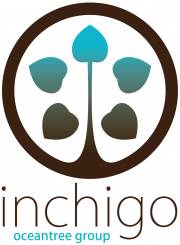 Now a partner and director of Inchigo, Fiona is passionate about developing people and aims to use her skills, experience, and creativity as a consultant, trainer, and coach to find appropriate and innovative solutions for each client.